Clearly, a PDF format is a very common and popular in nowadays. This is due the fact that PDF can contain a text, images, filled forms and multimedia elements. That seems to be the case, that PDF format is widely used in polygraphy and also for distributing documents containing a vector graphics! Thankfully, there are special programs and components to edit PDF-files, but their selection is much smaller than the programs to create and view PDF documents. A one of ways to edit a PDF document is simply convert it to a common editable MS-Word format. документов. 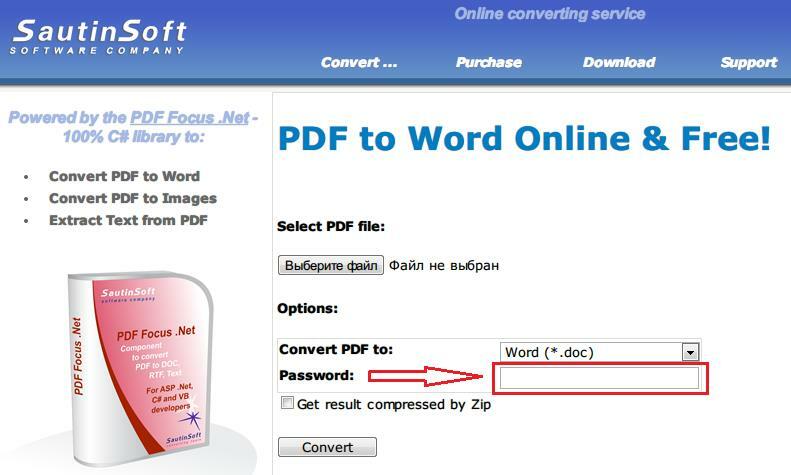 One of the tools allowing to convert PDF to Word is freeware First PDF. This program is based on the SautinSoft’s component - PDF Focus .Net. The component allows to integrate feature of converting of PDF documents to Word, Text and Images using a few code lines. 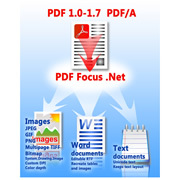 The one of PDF Focus .Net benefits is that it can process password protected PDF documents. What is a password protected PDF file? If for any reason you want to transfer a file intended only to a narrow circle of people through a link in Internet, you can set a password for opening, reading and editing the PDF document. Thus, a person who will use the PDF will need to enter an appropriate password.